*This closed transaction was completed in September 2018. All information deemed reliable but not guaranteed. Terry Thoeming is the Buyer’s Agent for this transaction. The home was listed by another agent. *This closed transaction was completed in March 2018. All information deemed reliable but not guaranteed. One of the first homes built in the 1950’s. Corner, close to 1/2 acre site, is beautifully landscaped. 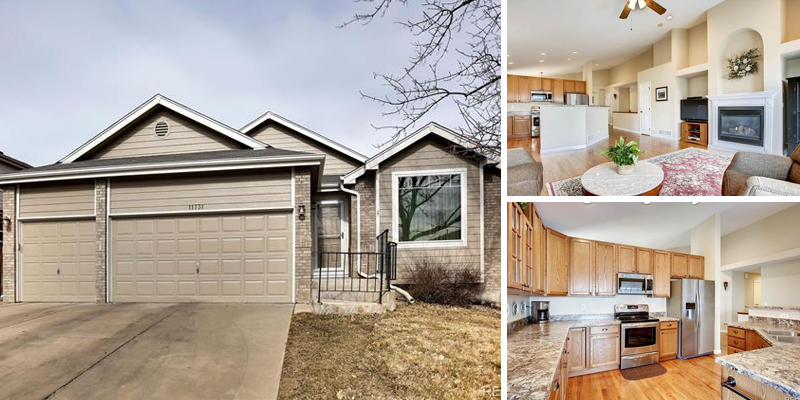 Ranch style home with walkout basement. Sunroom addition in the 1980’s and fabulous addition, up and down, in the 1990’s. HUGE master suite with 2 walk in closets, 2 vanities, shower, tub and large bedroom. Home has 4 bedrooms and 3 baths on the main floor with a bedroom and bath in the basement. Basement is set up with a kitchen and washer and dryer. Several decks allow great views and private space. Home is very open and spacious. ALL appliances as installed are included. Garage is oversized. High School is Wheat Ridge or Golden. *This closed transaction was completed in December 2017. All information deemed reliable but not guaranteed. 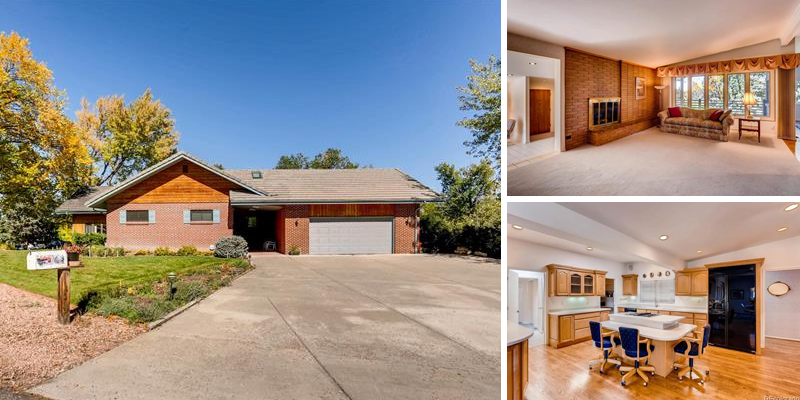 Rare ranch-style home with almost 2,000 square feet of main floor living! Beautifully updated. Freshly painted inside and out, brand new windows and refinished hardwood floors. Central air and high efficiency furnace were recently added and the deck was professionally built and backyard professionally landscaped. Huge master suite with 5 piece bath and walk in closet plus two other bedrooms and full hall bath. Vaulted ceilings highlight the great design and open floor plan with nooks providing wonderful locations for artwork. The unfinished basement provides room for expansion and your personal design. 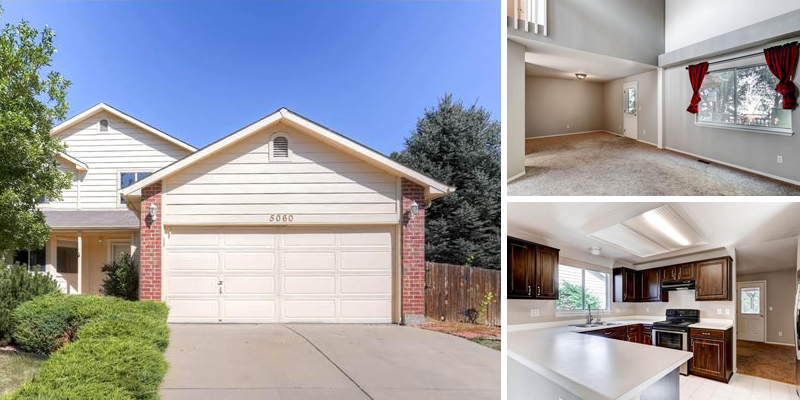 The over sized 3 car garage is a great bonus. You must see this home! *This closed transaction was completed in April 2017. All information deemed reliable but not guaranteed. *This closed transaction was completed in May, 2016. All information deemed reliable but not guaranteed. 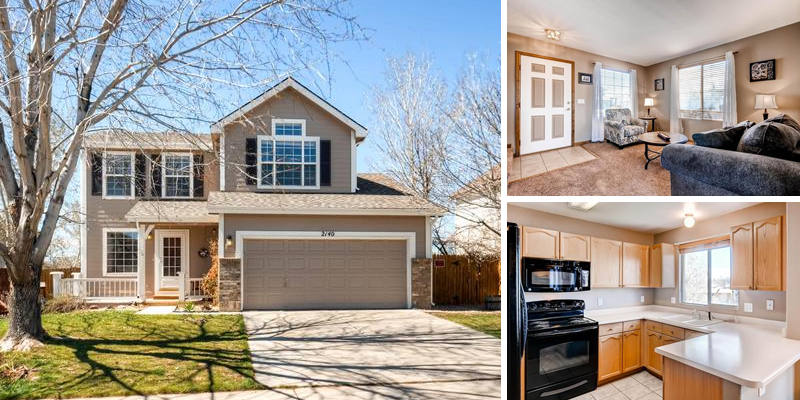 Beautiful DR Horton home includes 3 bedrooms, including master suite with walk-in closet and full bath on it’s own level, 2 bedrooms and full bath a few steps up from master. Big eat – in kitchen with peninsula, formal dining room and living room. Vaulted ceiling and great open flow make this a wonderful home. *This closed transaction was completed in August, 2015. All information deemed reliable but not guaranteed. 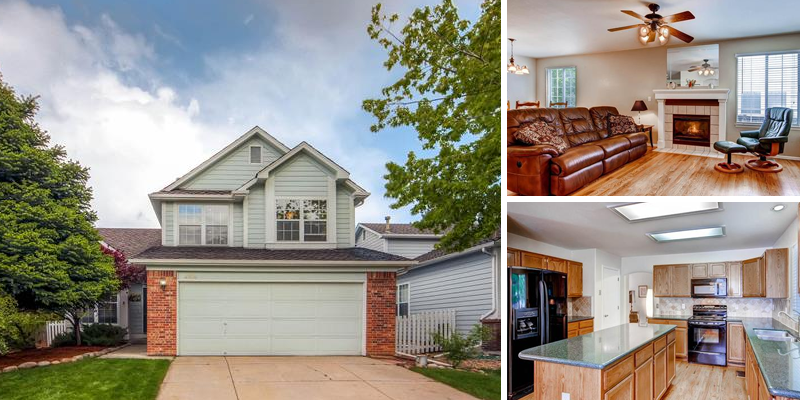 Beautifully updated 5 bedroom, 4 bath home. Master suite with 5-piece bath, 2 bedrooms, full bath and laundry occupy the 2nd floor. Living room, dining room, kitchen with nook, half bath and family room with gas fireplace make up the main floor. The basement includes 2 confirming bedrooms, 3/4 bathroom, 2nd laundry location, office/studio and storage. The outdoor space is generous for this neighborhood and has been professionally landscaped. *This closed transaction was completed in July, 2015. All information deemed reliable but not guaranteed. Sold! 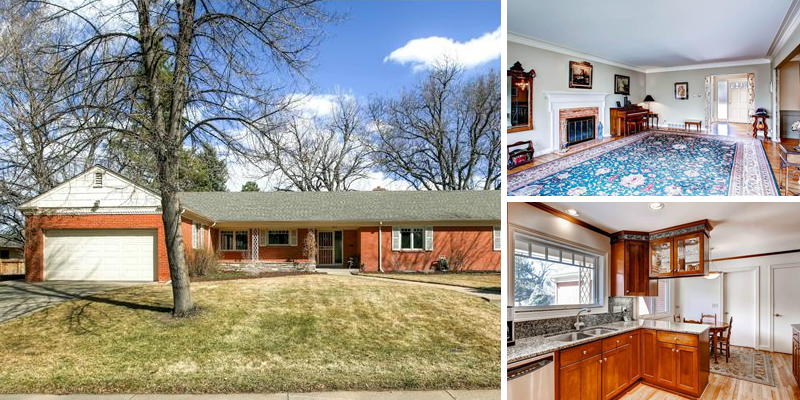 Beautiful Home and Remodel in Aurora. 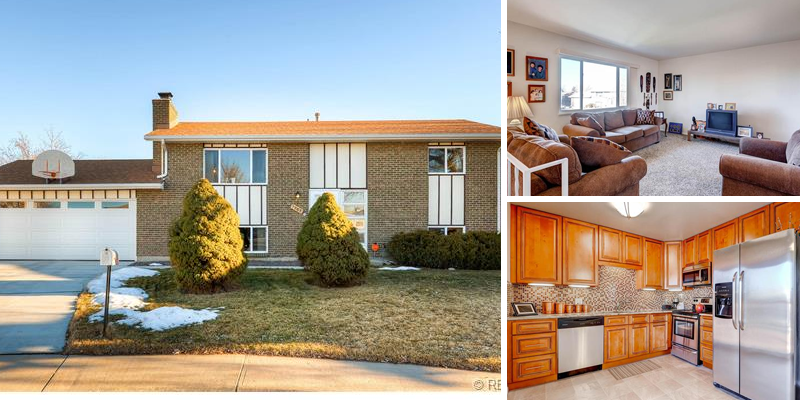 Take a virtual tour of 1068 Norfolk St Aurora. Custom quality kitchen with granite counters, solid wood cabinets and mosaic tile back splash. New windows, carpet and tile floor. Just move right in! Huge yard, over 1/3 of an acre. To be fair, the Seller requires the home be on the market for 72 hours (until the end of the day February 5, 2015) before considering offers. Please allow at least 48 hours for offer response. This closed transaction was completed in April 2015. All information deemed reliable but not guaranteed. Red brick home on 13,300 SF lot, east facing backyard. Professionally landscaped yard, feat a circular patterned concrete sidewalk and concrete faux stone wall to level the yard . The 32’ X 10” patio is a year around extension of the living space, private with 3 skylights. Living room has 3 lg newer double pane picture windows, fabulous crown molding and wood burning fireplace with red marble and detailed mantle. The kitchen and breakfast room, has slab granite countertops with full height backsplash, cherry cabinets, stainless steel appliances include side by side refrigerator, 5 burner gas cook top, oven that operates in both conventional and convection modes, and a microwave. The stainless steel double sinks are extra deep. The breakfast area has granite topped peninsula counter with halogen lighting and double sided glass display doors above unite the two spaces. Off the kitchen is the 1/2 bath & the main floor laundry. This closed transaction was completed in October, 2014. All information deemed reliable but not guaranteed.